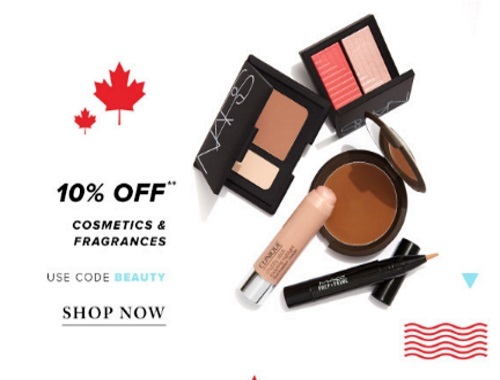 Hudson's Bay Cyber Monday deals continue today including a rare discount on cosmetics & fragrances! Enter the promo code BEAUTY to get the discount. Offer ends tonight, Monday, October 10 at 11:59pm ET. Also save an extra 15% off on almost anything with your Hudson's Bay Mastercard or Hudson's Bay Credit Card with the promo code CYBER (ends tonight too).